At last, a portable answer to cleaning polluted air caused by automotive repairs and refinishing. The Breatherite air filtration is specially designed with an active carbon air filtering system that cleans the polluted air and returns it back into the work environment. 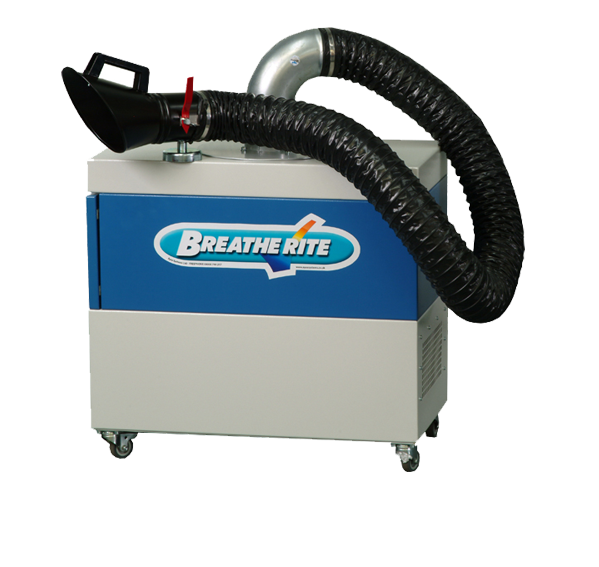 The Breatherite is a totally mobile and user friendly air filtration system, making it ideal for use in the body shop or smart repair area. Breatherite allows you to carry out small repairs outside the spray booth whilst still complying with all relevant Health and Safety regulations. The Breatherite has a five stage filtering system, including a 100mm thick dryglass paintstop filter, three separate particle filters and active carbon charcoal pellets. For more information about our Breatherite Air Filtration Systems click the button below to download the print friendly PDF brochure, or if you would like to receive a quote for this system, please click the request a quote button.